I made this kale smoothie recipe yesterday – and it was refreshing. Like most of us, I am trying to get more greens into my diet every day. Kale, as we know, is a superfood – or a salad bar garnish, depending on how you look at it. Use the form below to sign up for our newsletter and get new recipes right in your inbox. For this kale smoothie I use my Ninja IQ blender on the Extract setting. 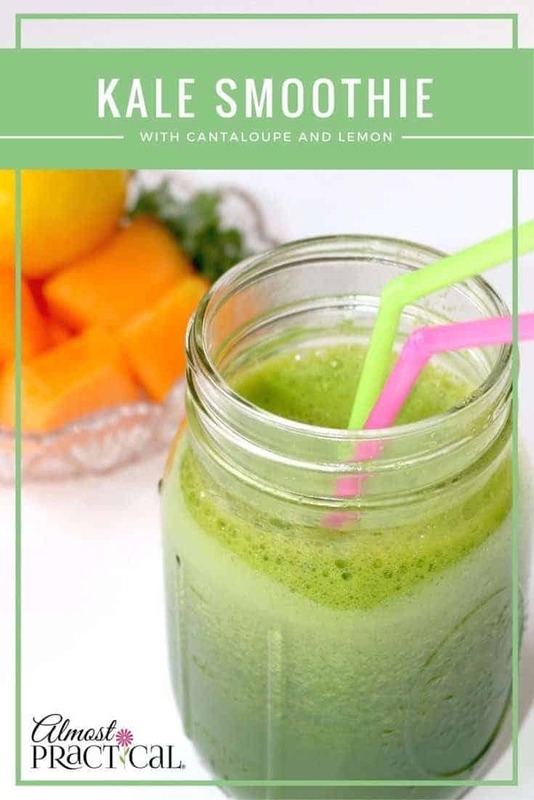 Add the cantaloupe to the blender jar. Pour coconut water over top. Use the extract setting on your Ninja blender or blend until smooth on a different model. Why should you add kale to your diet? On top of that, the cantaloupe adds more vitamin A, vitamin K, and a host of B vitamins. Seriously, I know that donuts taste better – but having some daily greens is kind of a cheap insurance policy. 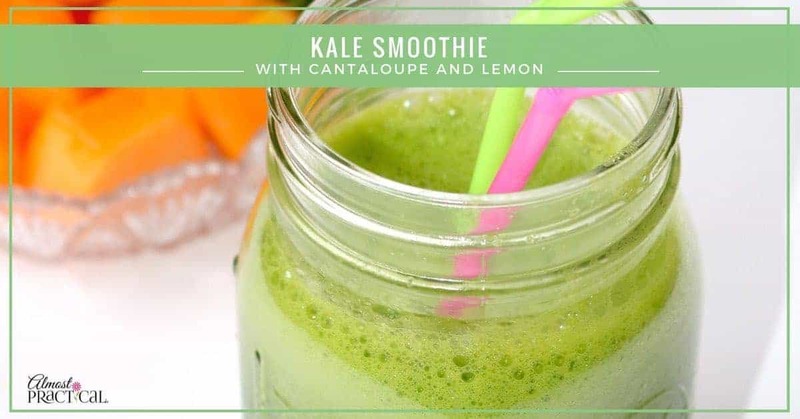 This kale smoothie recipe gets its sweetness from cantaloupe and a little tang from lemon. 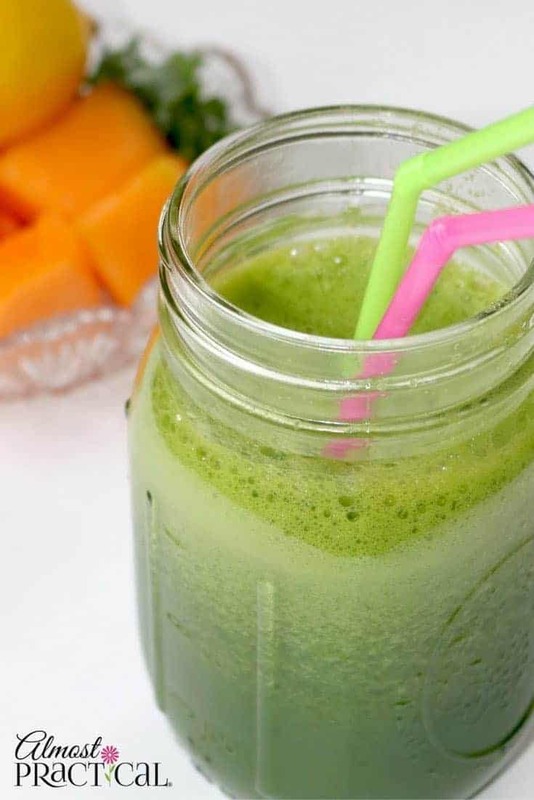 Did You Try this Kale Smoothie Recipe? Tell me how you liked it. Did you enjoy this recipe? Get more like this one when you subscribe.